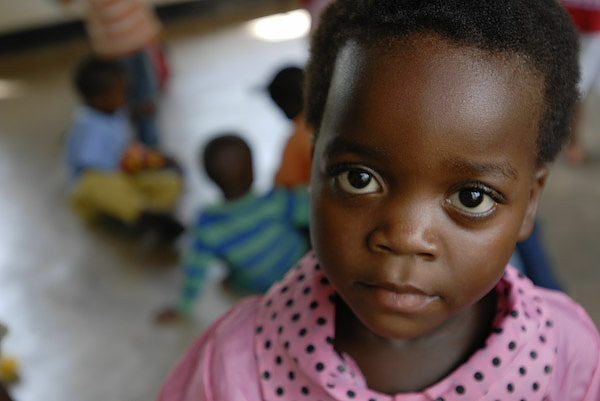 MAKE YOUR NEXT VOLUNTEER TRIP COUNT BY JOINING ONE OF OUR PROGRAMS AND BECOME PART OF A WORTHWHILE CAUSE IN MALAWI TODAY! Malawi is one of the poorest countries in Africa; but surprisingly enough, one of the warmest. It has been nicknamed: 'The Warm Heart of Africa' and it doesn't take long once you arrive here to feel the warmth and friendliness of the locals. Lake Malawi runs throughout most of the country and is the lifeline for so many. It's been named the calendar lake since it is 52 km wide and 365 km long. There are several challenges that this country faces and some of the most challenging ones are eradicating extreme poverty, extreme hunger, and high illiteracy rates. The country has failed to adopt new agricultural technologies, inadequate food storage, processing and utilization knowledge that result in food wastage, critical shortage of capacity and skills in many institutions that are involved in the delivery of development programs. Among other issues are inadequate knowledge and skills on household dietary diversification, economic empowerment to increase access to high nutritive value foods for varied and nutritious diet, and inadequate marketing infrastructure for rural communities, which limits poor farmers and communities from growing cash crops and engaging in meaningful economic empowerment activities. Getting involved with the local projects and community here in Malawi is what this placement is all about. 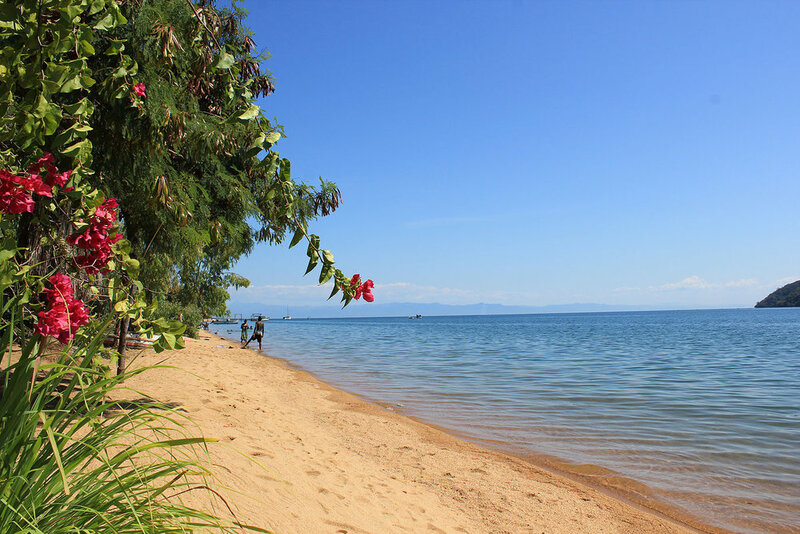 This program is located in a very tranquil and breathtaking spot along Lake Malawi. It not only provides a stunning view of the surrounding lake and area but also opens up plenty of opportunities to take part in some incredible activities both on and off the lake as well as providing lots of new things to explore and get involved in on your down time. If you have a desire to make a significant impact in a local community, want to experience what Malawi has to offer and looking for a great opportunity that will dramatically change your life while providing you with lasting memories, than you certainly can't go wrong joining one of our various programs we offer in Malawi. WEATHER AND CLIMATE: The most ideal time to travel to Malawi is during the winter season which is between May to October. During these months, temperatures are cool and dry with lush vegetation. The summer season is between November to April where temperatures are hot and humid. During these months, there are also periods of heavy rains. The coolest months are between June to July when daytime temperatures hover around 21 °C / 70 °F and nights can be very cold. The children at this nursery school are between the ages of 3 to 6 years old. Volunteers are welcome to join local teachers at the nursery school in the nearby village of Chikale. There are about 50 children enrolled, many resources and accessible reports from other volunteers who participated in the school and what they accomplished while on the program. Teaching alongside the two established teachers is a great way to pass on new and different teaching techniques. The kids benefit from having more supervision and the teachers benefit from new ideas and motivation. At this nursery there has also been a gardening project created in the small space out the back of the nursery is a great way to plan for the future. The garden has been terraced off and basic fruit trees have been planted, but it can always do with extra care and there are plenty of seeds to plant in the ground and surrounding area. Making resources for the nursery school is a great way to leave your ideas behind. There are lots of materials for you to create and to leave your lesson plans or games that you think will benefit the kids well into the future. If volunteers like, they are also encourage to paint the walls around the schools and carry out other community mural projects. At this special nursery school, we also welcome builders to organize a small cooking area up at the school so that meals can be prepared and produced from the garden that can be made into nutritious snacks. Our hardworking and devoted teams train close by at Chikale village. We are always looking for volunteers with a sports background or a degree to help coach and train our athletes and encourage them to develop their core skills to enhance their success. Volunteers are welcome to assist or take any of the training sessions, pass on their skills and accompany the teams to games and be there to offer support every step of the way. The boys run two football teams ages 12 to 15 and they train three times a week. The girls train twice a week and both teams have fairly regular games within Nkhata Bay area. As a volunteer on this program, you will be responsible to assist with the following duties: skills training at the regular training sessions, help organize games with different teams, fitness training with the teams, and work with Willard to develop the managerial and organizational side of the team. A local garden that has been created and we welcomes any of the volunteers to be part of it. You are welcome to help garden and plant any day of the week all year round. In 2011, we started developing gardens around the nursery school and other schools to provide nutritional snacks to the children as well as acting as a useful community demonstration in sustainable agriculture techniques and erosion control. We have developed around the site and particularly on three terraces that can act as a great community demonstration as well as a source of nutrients, ideas and inspiration for the kids at the nursery. Now that the gardens are in place, it is much easier for work to be done and for people to get involved, whether for a short or a long time. The hope is that both these gardens can be worked on a and developed over the coming years, with ideas from both the community and visitors and that in the future, as well as being a great source of food for the children, they can also be a great demonstration of sustainable home vegetable garden. ~ Computer lessons for local schoolchildren and community groups using Word and Excel. ~ Environmental demonstrations around site can act as a great demonstration in sustainable techniques. ~ Seeds planted in the nursery here will be used in the gardens at the nursery and primary school. ~ Painting tree and plant signs around the garden helps people identify useful and interesting uses. ~ Community visits to local groups and organizations creates awareness and help us understand the relevance to the local people. ~ Nutrition and cooking workshops with community groups can help spread vital information and get people informed about the information and links that can be made through the center. These can be held on site and is designed to work with the local Agriculture Department in the area. ~ Cultural groups with different members of the local community provide ways of share local stories and traditions using cameras, voice recorder and other means. This center is home to approximately forty adult members who differ in their ability from deafness to paralysis and has been built in a small community close to Nkhata Bay area. At this center, members learn specialized trades in many areas including tailoring, carpentry, teaching, cooking, and computers. The center also consists of a fully functioning restaurant where customers can stop by for a cup of tea or some delicious home-made cooking. In addition, trained members manage an internet cafe, a shop where they sell their produce and fabric creations, as well as a small garden nursery for guests and members to relax and enjoy a day out at the center. Specialized training provided by local experts for the adults with disabilities. This program is designed to empower young people with disabilities to become as independent as possible, and to gain opportunities to participate meaningfully in their communities and family homes. Since 2012, a group of young adults with learning difficulties and physical impairments have been meeting on a weekly basis and coming together to learn valuable life skills, eat a nutritious lunch, engage in physical activity, and develop and deepen relationships among their peers and within the community. Some more able members are employed to do small tasks. The club began as only five individuals but has grown significantly to thirty young adults and the size of the club continues to grow every year, with more members being added all the time. An on going outreach component linked to this group includes home visits and needs assessments for volunteers with specific qualifications in this area. Dormitory accommodation, breakfast/evening meal, laundry/cleaning facilities and project orientation. If you prefer to stay in an individual chalet instead of a dormitory, an upgrade is available an extra $160 CAD. Program Fee – project orientation, program supervision, accommodation (private or dormitory style) and meals during volunteer program period, in-country 24/7 volunteer support and in country administration costs.